If you are trying to compare the gutter contractors that serve residents of Placitas, New Mexico, and the surrounding areas, end your search with ABC Seamless of Albuquerque. 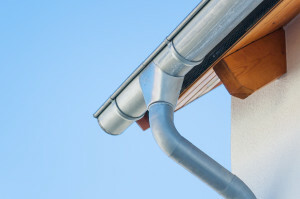 We have proudly served the area since 1987 and offer impressive seamless steel gutter solutions that are designed to please. In fact, we fabricate all of our gutters on-site to ensure a perfect fit that flows magnificently from one side of your home to the other. And, because our gutters are 30 percent wider than the average gutter, they will channel more rainwater far away from your home. Unlike some of the other gutter contractors in the area, when you purchase a seamless steel gutter system or rain gutter guards from us, you will receive an outstanding 10-year labor guarantee in addition to a lifetime transferable warranty on all of our gutter products. If you need more information about what makes us different from the other gutter contractors in Placitas, NM, and the surrounding areas, contact ABC Seamless of Albuquerque today. Additionally, we offer impressive financing options to help make your new gutters even more affordable.